For this Christmas vacation, I hope to give flash lighting for decorate your blog.This is just CSS effect with animation.Every modern browsers support with this decoration. You can add this Christmas Lights effect as widget with simple steps.Use below button for demo. You are done. If you have any problem related to this Christmas Lights Widget for Blogger. Just leave a comment.I will help to you. Finally!!! Its showing on my site now!!! After much trials! Nice share. Merry Christmas Sohan....!! 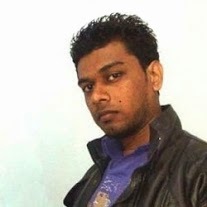 Hi Sohan Jayasinghe brotehr Thankx to shairng with us of this Very Improtent Topic. Bro. Do you have any Halloween and Thanksgiving ones? These lights are nice.. Thanks. Are the lights not available this year? They don't seem to be working, and they have worked every year since you shared the code with us. Thanks for remind it Elizabeth.Fixed now.